Contribute to our project by letting us know about additional Judicial Hellholes. In recent years, the Judicial Hellholes report has given Pennsylvania credit for improving its litigation environment by instituting procedural safeguards that made it less welcoming to out-of-state plaintiffs. But now, those who do business and face lawsuits in the state are concerned that the Pennsylvania Supreme Court may take a liability-expanding turn. Recent rulings also indicate that Pennsylvania’s intermediate appellate courts have swung courtroom doors open to out-of-state plaintiffs whose claims have no connection to the state. As key cases reach the state high court, it will have a choice as to whether to adhere to traditional principles of tort liability and follow statutory law, or accept the plaintiffs’ bar’s invitation to expand liability and welcome more lawsuits to Pennsylvania. Historically, Pennsylvania’s Unfair Trade Practices and Consumer Protection Law (“UTPCPL”) was limited to Pennsylvania plaintiffs who alleged wrongful acts that had a “sufficient nexus” to Pennsylvania. In February 2018, however, the Pennsylvania Supreme Court unanimously overturned years of precedent and ruled that non-Pennsylvanians could sue Pennsylvania-based businesses for out-of-state transactions no matter how tenuous their relationship to the state. In Danganan v. Guardian Protection Services, the plaintiff sued a Pennsylvania-based home security company for allegedly continuing to bill him for his Washington D.C. home security system after he moved to California. The justices decided the language of the UTPCPL evidenced no geographic or residency requirement, despite over ten years of precedent saying otherwise. In the end, the entire Pennsylvania Supreme Court sided with the out-of-state plaintiff to the detriment of Pennsylvania businesses. As one Philadelphia attorney observed, the ruling “may encourage these plaintiffs to bring suit in Pennsylvania rather than their home states or in the state where the acts occurred in the hopes that courts will apply the UTPCPL.” “While that may seem like a hassle, the broad remedies of the UTPCPL, including treble damages and attorneys’ fees, could make it a worthwhile effort for plaintiffs and their counsel,” he noted. WILL THE COURT RECOGNIZE THE MODERN REALITIES OF LITIGATION AND MEDIA? Speaking of anti-business, a Pennsylvania appellate court recently adopted one of the most restrictive views of the attorney-client privilege in the country. In BouSamra v. Excela Health, an intermediate appellate court ruled that a company waived the attorney client privilege by forwarding a communication between inside and outside counsel to a public relations consultant who was retained to develop a media plan and plan a press conference regarding its defense in a defamation action. The court failed to understand the relationship between lawyering and communications in a modern business and the public interest served by respecting the confidentiality of such communications. In January 2018, the Pennsylvania Supreme Court granted review. ATRA filed an amicus curiae brief arguing that a privileged document should not lose its protections merely because a general counsel, or other lawyer for a company, shares that document with non-lawyers responsible for working with the company to navigate a multi-dimensional legal issue. The court heard oral argument in October 2018. WILL THE COURT EXPAND MEDICAL LIABILITY? Another case argued before the Pennsylvania Supreme Court that month will decide whether plaintiffs can file medical malpractice claims long after the period set by the legislature to do so has ended. In Yanakos v. University of Pittsburgh Medical Center, plaintiffs have urged the Supreme Court to adopt an exception to the state’s seven-year time limit to bring medical liability claims. There, the plaintiffs filed a lawsuit twelve years after a failed liver transplant, and said that they had not discovered the patient’s medical condition until after the seven-year period expired. While the legislature carved out other exceptions to the statutory period, and had not done so for this situation, the plaintiffs asked the court to find the statute unconstitutional and apply its own exception. WILL THE COURT REQUIRE DEFENDANTS TO PAY MORE THAN THEIR FAIR SHARE IN ASBESTOS AND OTHER PRODUCT LIABILITY CASES? On July 21, 2018, the Pennsylvania Supreme Court granted review of a Superior Court decision holding that a state law that imposes liability in proportion to a defendant’s level of responsibility for an injury, known as the Fair Share Act, applies to asbestos cases. The Superior Court had reversed a Philadelphia Court of Common Pleas ruling that exempted asbestos cases from the same rules for allocating fault that apply in other cases. Without such a rule, a single business that is found to have contributed to a plaintiff ’s exposure to asbestos could end up having to pay the entire damage award, even if the plaintiff ’s exposure was largely caused by others. Under the Fair Share Act, a defendant can be required to pay the full award only if found more than 60% responsible. In addition, the ruling could more broadly exempt other strict product liability cases from the Fair Share Act. The Supreme Court also will have the opportunity to require plaintiffs to provide the court with any evidence of bankruptcy trust claims or settlements. The Superior Court appropriately held that when a jury apportions fault among potentially responsible parties, the Fair Share Act requires that they consider evidence of any settlements by the plaintiffs with bankrupt entities. Ideally, the Supreme Court should require plaintiffs to provide all evidence of past and future bankruptcy trust claims and settlements, or consider them waived. If the high court does not do so, or worse, blindfolds juries from considering such settlements, passing a law to provide transparency in claims made against asbestos-related bankruptcy trusts, like H.B. 238, will become even more critical. As of publication, this closely-watched case, Roverano v. John Crane, Inc., is pending before the Pennsylvania Supreme Court with no date yet set for oral argument. Pennsylvania courts have been slow to apply the U.S. Supreme Court’s 2017 ruling instructing state courts to dismiss cases that have no connection to the state. In Bristol-Myers Squibb Co. v. Superior Court of California, the Court held that a state cannot exercise personal jurisdiction over a company that is not incorporated or headquartered in that state when the plaintiffs do not live in the state and events related to the alleged injury did not occur there. The first opportunity for a Pennsylvania Superior Court to properly apply the BMS ruling on claims brought by out-of-state plaintiffs was in Hammons v. Ethicon. The facts were similar to BMS—an out-of-state plaintiff brought suit in Philadelphia against Ethicon and its parent company Johnson & Johnson, neither of which are incorporated or headquartered in Pennsylvania. The plaintiff did not receive medical treatment in Pennsylvania, and all of the relevant actions related to her claim alleging a pelvic mesh device was defective took place where she lived, Indiana, or where Ethicon is based, New Jersey. The only connection between the parties and Pennsylvania was that Ethicon had contracted with a Pennsylvania company to “design, test, and manufacture” the mesh and the plaintiff decided it would be a more favorable jurisdiction. Doing business with third parties does not automatically subject an out-of-state business to personal jurisdiction where that company is located unless there is a specific connection between the forum and the injury. The U.S. Supreme Court in BMS held that the “bare” decision to contract with a California company to distribute the drug nationally did not provide a sufficient basis for jurisdiction in California. As in BMS, Ethicon’s link to a Pennsylvania company should not have provided a sufficient basis for a Pennsylvania court to decide the case. Nevertheless, in June 2018, the Superior Court declined to throw out a $12.8 million judgment reached in Philadelphia’s mass tort program in late 2015. The court never explained how a third party’s actions specifically contributed to the plaintiff ’s specific injury. Ethicon filed a petition for appeal to the Pennsylvania Supreme Court in September 2018, which, as of publication, is pending. A few days after the Hammons decision, another Superior Court panel came down with a ruling that was even more extreme. In Webb-Benjamin, LLC v. International Rug Group, LLC, a dispute arose over commissions from a furniture sale that took place in Canada. After the event, the nonresident defendant registered to do business in Pennsylvania as a foreign corporation. 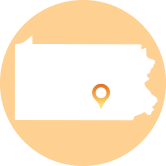 The panel held that if a corporation registers to do business in Pennsylvania, it consents to personal jurisdiction in the state. While there is hope the tide of jurisdictional overreach will subside, ATRA urges the Pennsylvania Supreme Court to show leadership by giving clear guidance to lower courts to end litigation tourism. bad faith lawsuits, where plaintiffs challenge the timeliness or manner in which an insurance claim is paid. While the court’s 2017 decision in Rancosky v. Washington National Insurance Co. “could have been worse,” its failure to explicitly find that “bad faith” claims always require an insurer to act with “bad faith” helped land the Pennsylvania Supreme Court on the 2017-2018 Watch List. Fortunately, a state appellate court drew the line in a bad faith claim in April 2018 when it reversed a $21 million judgment in Berg v. Nationwide Mutual Insurance. A divided three-judge panel found that the trial court judge who imposed the monstrous award, Judge Jeffrey Sprecher, acted with clear bias towards the insurance industry. There was no evidence, the appellate court found, that Nationwide engaged in bad faith when it asked an auto shop to repair a Jeep Grand Cherokee that had been damaged in an accident rather than write it off as a total loss. When Judge Sprecher reached the multimillion-dollar bad faith verdict he issued an opinion that spanned more than 100 pages. Rather than focus on whether Nationwide committed bad faith, which was the issue before the court, the Berks County judge commented at length on the profitability and power of insurance companies, and their “massive assets.” Lawyers representing the insurer argued on appeal that Judge Sprecher had gone on a “tantrum” against the carrier, assailing everything from its litigation tactics to its advertising practices. The appellate court found that “[t]he relative power and wealth of the insurer as compared to the insured is not relevant to whether bad faith occurred in a particular case, unless some factual basis can be shown that the insurer used its wealth to engage in bad faith.” To recover, the insured must show bad faith, the court reminded, and did not do so. The appellate court’s ruling not only threw out the award of $18 million in punitive damages and $3 million in attorneys’ fees, but entered judgment for the insurer. The plaintiff filed a petition for appeal with the Pennsylvania Supreme Court in September 2018, which will continue litigation over a car accident in which no one was hurt that began a decade ago. As of publication, the high court has not decided whether to review the appellate court’s decision.